Looking for a workbook based homeschool math curriculum? You might like Modern Curriculum Press for homeschool math. The MCP Math Curriculum is designed for home schooling parents who want to present math in a way that is easy to understand both for them as well as for the children they are teaching. Not everyone is great at math and it can make it difficult to teach when working with your own children. In fact, math can be one of the hardest things for parents to teach their children if they themselves do not have a strong foundation in mathematics. It also requires a great deal more review and practice than other subjects do. This particular curriculum has some excellent benefits as well as a few disadvantages when it comes to teaching math. There are a number of benefits to this particular program. The first is that it is designed to allow students to learn math in an easy and fun way. It is designed for parents to be able to assist their children and to be able teach their children easily. There are plenty of activities and the program does come with a workbook. This does make it easier to handle reviews and the curriculum is set up to be easy on parents to be able to teach the math concepts. Constant review lets you know where your children are having issues and the lessons are designed to allow time for children to gain mastery of a concept before moving on. The program is also affordable which can be a large factor for many home schooling families who have to consider finances closely. The Modern Curriculum Press Math curriculum also has a teacher’s guide designed to provide parents with easy to follow instructions for teaching their children which makes it easy even for parents who are not perfect in math. Probably the biggest disadvantage with this program is that the lessons only go K-6 so advanced mathematics for middle school and high school have to be located elsewhere. 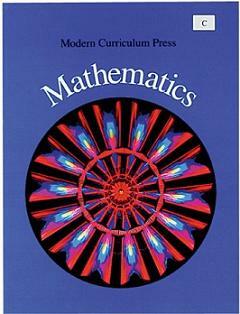 Have You Used This Math Curriculum?